I picked up these key and keyhole brads at the Port Sunlight show on Saturday, along with the tag stamp. I stamped the tag image onto kraft card and glammed the image up a bit with some pink lipstick and blue eyeshadow. The blue lace panel is from my stash of completed Gelli Plate prints which I sponged with Walnut Stain around the edges. I partially stamped some text on the card base with Espresso Truffle, then stamped a postmark with Antique Linen. I added twine, ribbon and fibre to the tag, so I'm entering it into The Mixed Media Monthly Challenge, Ribbon, Twine and Fibre. Don't forget, the Mixed Media Card Challenge is open for Vintage with the optional element of 'key'. Shirley girl...you amaze me! How do you continue to come up with these amazing ideas? Each time I visit, I think that you can't possibly get any better...but you do! Amazing creation and awesome key/keyhole find! This is gorgeous, love the perfect vintage look u created ! Love the tag piece and the great fiber you used! This is a great mixed media card. I love the tag and all the fibers you used on it that add such great texture. 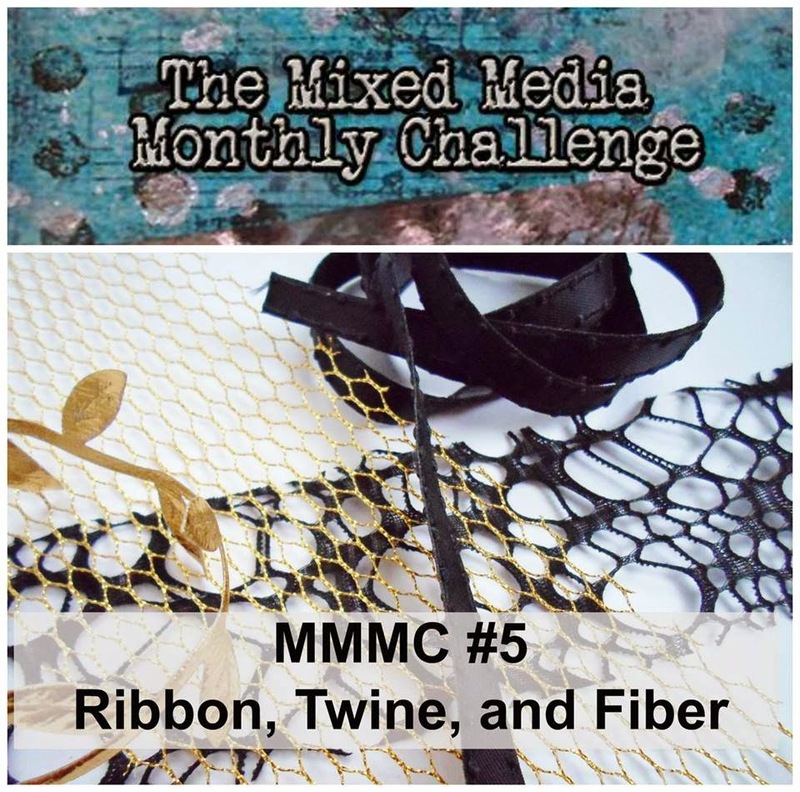 Thanks so much for joining us at The Mixed Media Monthly Challenge. Love the design of your mixed media card - especially lovin' the fibers on the tag!! Thanks for joining us in this month's Mixed Media Monthly Challenge! Beautiful! I just love the hint of stamping in the background. Thanks for playing along in the Mixed Media Challenge! gorgeous! love how you layered so many great fibers! Thank you so much for playing with the Mixed Media Monthly Challenge!